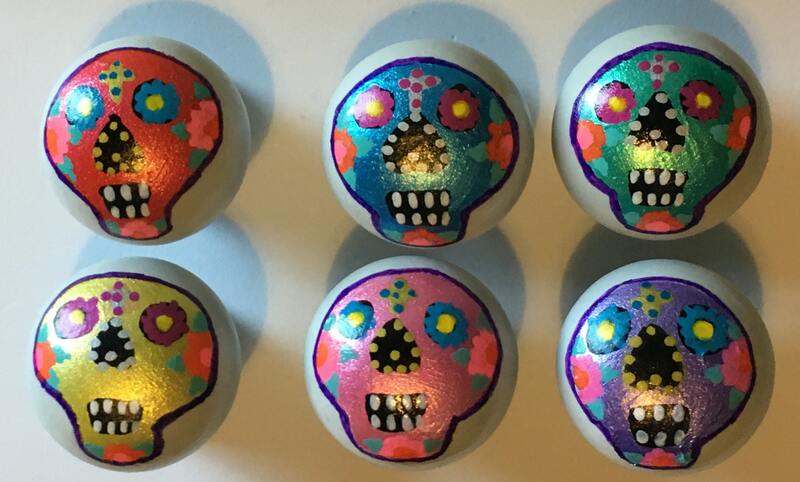 Brightly coloured hand painted sugar skull drawer knobs. Dia de los Muertos is a Latin American festival celebrating the lives of those that have died. Its a wonderful celebration and I have taken inspiration from the festival to create this range of drawer knobs. This handle will add the finishing touch to your up-cycle project or give a new lease of life to existing furniture or cupboard doors. 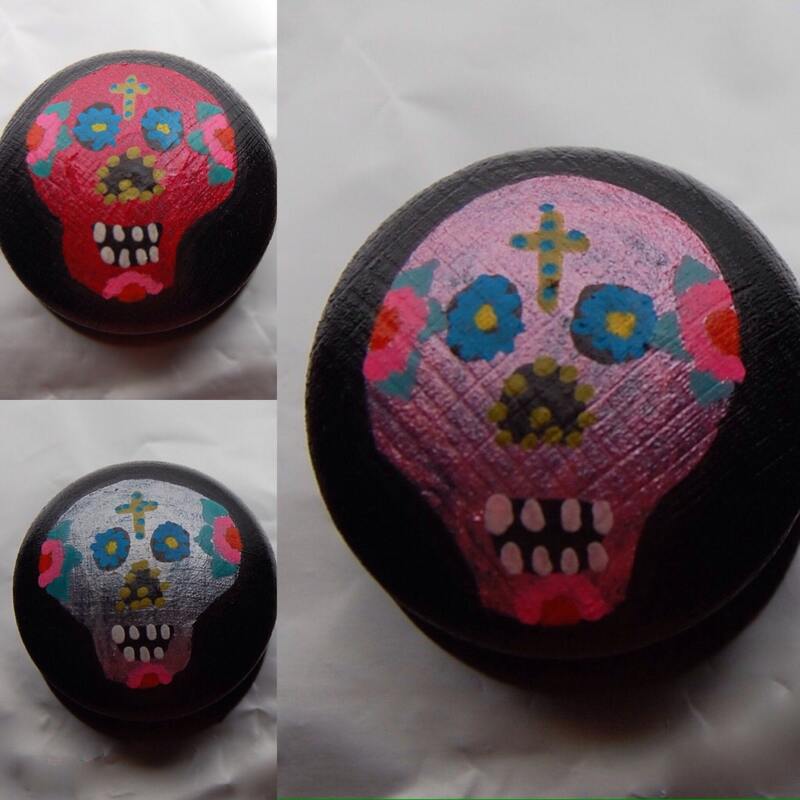 This handle has a hand painted sugar skull on a black wooden handle. it is finished with several coats of hard wearing lacquer to ensure longevity. 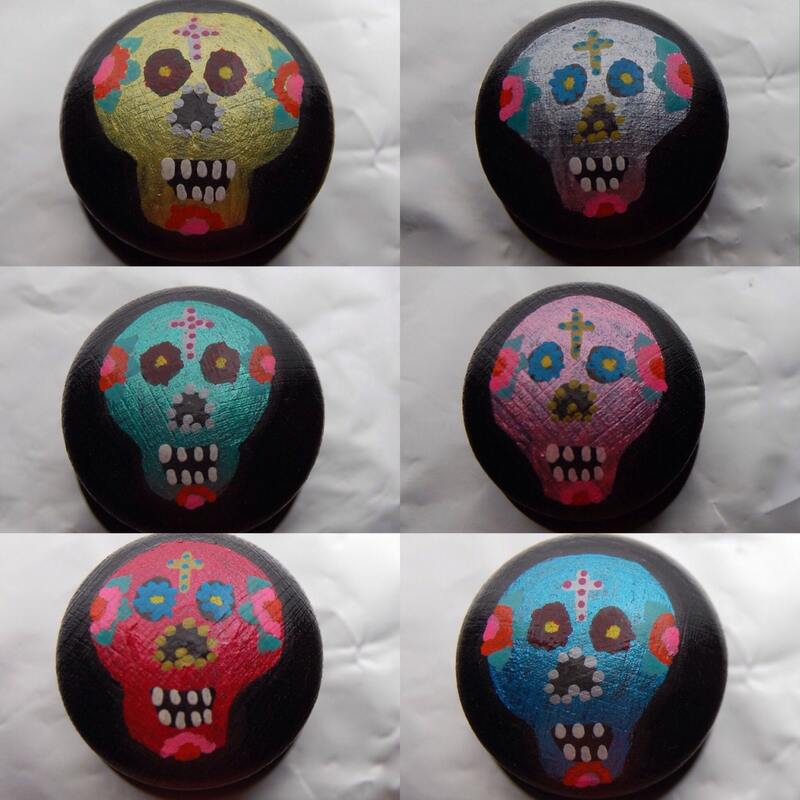 6 skull colours available blue, red, green, yellow, pink and purple. Don't buy new furniture! 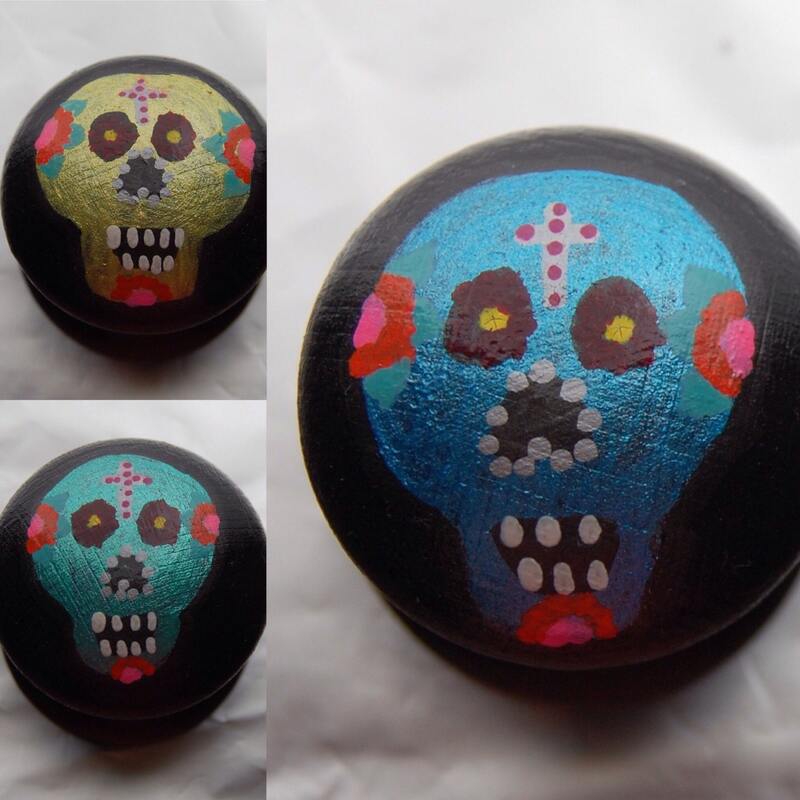 Brighten up that old chest of drawers/ cabinet door with a hand painted handle. 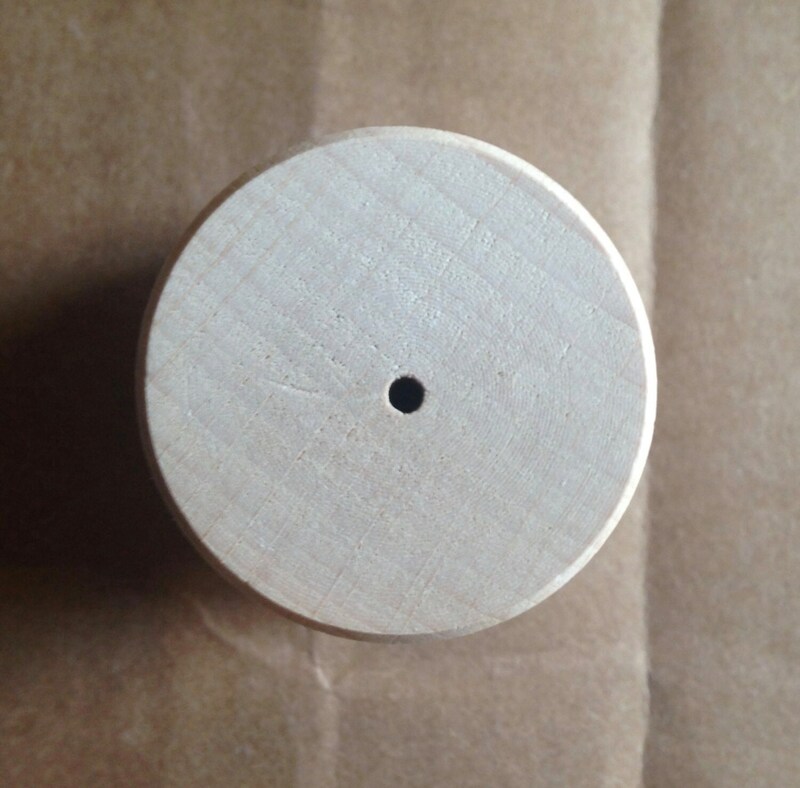 Knobs are pre-drilled (as pictured), ready to be fitted to your drawer or door. Screws/ fastenings not included. If black isn't your thing, please feel free to contact us to discuss background colour changes to suit your tastes at no extra cost. All handles are painted to order and we are always happy to help. Please have a look at my other listings for other available designs. As all drawer knobs are painted to order, please allow up to 7 working days for delivery. Every effort is taken to depict colour accurately, however the settings and resolution of your device may affect this. To fulfil your order, you must provide me with certain information (which you authorised Etsy to provide to me), such as your name, email address, postal address, payment information, and the details of the product that you’re ordering. You may also choose to provide me with additional personal information (for a custom order of drawer knobs, for example), if you contact me directly. Can I change the background colour of the drawer knobs? Yes you can. All items are made to order and we are happy to change the background colour to suit your colour scheme and preferences. There is no additional charge to change the background colour.